Nowadays, with the rapid development of online services, people start enjoying the convenience of the personalized services from online shopping websites to social media. However, the safety of the privacy data collected by the high-tech companies who provide online services remains a big concern. In the following discussion, we will provide for/against views of the issue. The supportive points of view will be discussed in four main parts which consist of utilitarianism, duty ethics, Kantian ethics, and virtue ethics. It is reasonable that personal privacy data is analyzed by high-tech company. High-tech companies include communication providers such as Facebook, Instagram, WhatsApp and those who require big data from the public to create a more convenient life for people, they collect users or customers’ personal privacy data to offer a better user experience by personalized services. The action does a great job on meeting customer demands and exceeds their expectations. Taking Facebook as an example, it has collected data of users’ usage such as interaction frequency to analyze who is one’s best friend and provide a special video to celebrate the friendship now and then. Also, Facebook helps users remember friends’ birthday date to eliminate embarrassment from forgetting someone’s big day. It is morally right when collecting and analyzing users’ personal data are needed, and it is all legal. Before using those online services, people are requested to agree on a privacy use agreement, which means the users are informed and agree on how their own data would be used. Users have choices regarding the information collected and how it’s used. Users can still adjust and change their wills on which way they prefer their privacy be used in. People always have a control over how the state of the privacy be. For example, users can share videos on YouTube publicly or users can choose to keep it as private videos. Assume an extreme case that everyone rejects personal data to be analyzed by the high-tech companies, most IT technologies based on big data cannot proceed. Then we make an opposite hypothesis, if everyone allows the high-tech companies to analyze their personal privacy data, a complete database can be built. From a collective perspective, analysis of personal data makes a great contribution to technological progress, especially in an information age. This action will bring the greatest pleasure to the greatest number in society. Analysis of personal data will bring more accurate strategies of Leading technology companies. With corresponding influence on individual, people acquire more suitable services such as health management, autopilot planning and unique portfolio, which bring great convenience to life. In addition, other products like crime prediction are providing protection for public safety and stability. From the view of virtue ethics, single actions should be distinguished to a virtue. Analysis of personal data involved in many aspects. Thus, to judge whether it is ethical or not, it should be based on the motivation. The purpose of the high-tech companies is to build an information network that can meet the needs of research, and it is efficient and valuable. So, it can be considered as a virtue. Variety and volume are two essential elements of big data. In this degree, analyzing personal data is inevitable. It is not reasonable that personal privacy data is analyzed by high-tech company. The personal privacy data analyzed and used by high-tech companies is not reasonable as we usually thought. And the followings are three reasons why we make the judgement. There are quantities of data on the Internet. And the data, especially the personal privacy data, is widely analyzed and used by high-tech companies to make a better personalized service for customers. While, it is not very successful as expected. When shopping on the Internet, a lot of customers often receive the recommendation of products that they don’t really want to buy, just because they browsed some related products accidentally. These “errors” will give a very unpleasant experience to the customers. Furthermore, after the inaccurate recommendation, the customers will be aware of the disclosure of their personal privacy data. Then they will feel more unsatisfied of the service of the companies providing and complain about the service of the companies. When the personal privacy data is collected by high-tech companies, major companies will ask whether the customers approve the companies to use the data with providing details about the policies and information of collecting data. That’s ethical. However, these companies often show the full policies and information about what they actually do in the following page which most people will ignore easily. That’s not ethical and impair the right of the people that browse the websites of the companies. The data that the high-tech companies collect form the customers and website viewers is very endless and valuable, while the benefits or compensation to customers is fairly limited and cheap. Given massive annoying advertisements and under high risk of disclosure of important personal privacy like home address or contact information, the customers and website viewers only get some imperfect recommendation when listening music or shopping on the Internet. This behavior can be judged as ethical. Our personal data is our private information which should be protected by the government. Everyone has personal privacy and should be respected by the society. For this reason, everyone can feel the care and respect of the society for him to have a safe and secure life. Moreover, individuals are unique in this world, so everyone’s information should not be exposed to large databases, selected like commodities, and people have souls. Big data information can’t really represent a person. A system that is immutable cannot express one’s soul. Therefore, relying solely on big data analysis to judge a person is inaccurate and is a disrespect for the human soul. Before using the online services, users are always asked to agree with Terms and Conditions. However, most people just ignore it and click the AGREE button. They gave up the right checking on those agreements, yet complaining about their privacy being used afterwards. It is unfair to the companies. We really need to focus on the topic now and think about it, for big data services are taking control of our life currently. People must admit that these personal customized services do benefit a lot and provide customers with a better experience shopping or doing works. It can provide information much more accurate and easier. As mentioned in this article, there may remain some issues about misusing customers’ privacy data, for example, selling privacy data to other agents for money. Customers cannot even complain about it because they don’t know who’s selling it! We need to think about how to balance both two sides and reduce the negative effects of it. Is it possible to introduce a third party to guide and manage the company to use privacy data in an appropriate way as well as help ensure users have their due right? 4. I definitely refuse to permit my own data being sold or used for profits. If there is value in the data, I should be controlling who can get access to it, let alone benefit from it. Those privacy should belong to only oneself. Regardless of how the company get personal information of people, it is illegal to sell it. Maybe the government should set law or effective punitive mechanism to protect individuals. The two sides of companies and customers benefit from each other. It should be a balance between them. The problem is, customers cannot control if their private data are sold, they won’t be informed. Customers won’t know who is selling their information, who to blame even if they have noticed the situation and willing to fight for their rights. The current situation is unbalanced. Because of information asymmetry, it is hard to solve the problems. Your article reminds me that privacy issues are really significant. I didn’t value it much, to be honest. Big data can be used to improve marketing strategies and to help consumers find products of most interest. However, if the data is not managed properly, it may bring more harm rather than benefits. People can learn from past lessons and set up more effective and safe systems to prevent privacy disclosure. Establish laws and regulations to protect the privacy of the public from potential risks, and limit company abuse of personal information, so as to maximize the benefits of both parties. There should be a sound system to guarantee collecting data of the public correspond to moral ethics. People have to weigh up the situation. A more convenience life or his own information? 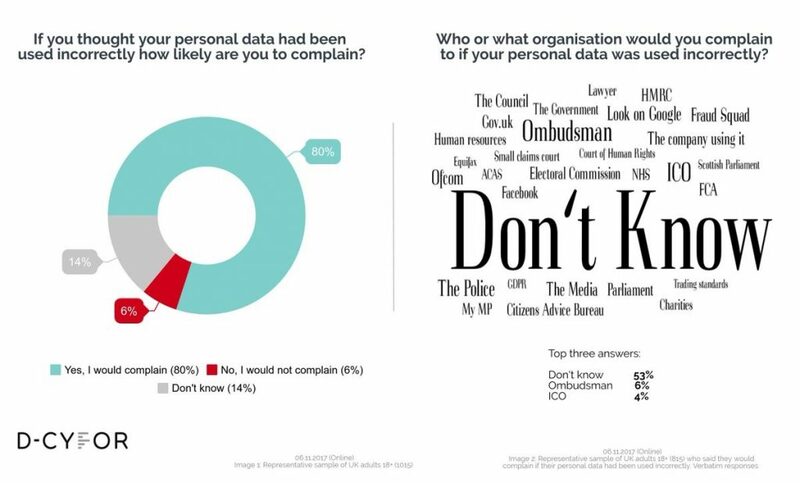 A lot of us actually don’t really care where their personal information goes. It is just a bit annoying when getting the advertising call, but it doesn’t really matter. In contrast, I’d prefer a customized living environment, which strongly promotes my life quality. I can accept that my name, address, date of birth or phone number being used. But it’s horrible when more important information goes out such as vehicle registration plate numbers, credit card numbers, fingerprints, a computer’s IP address, CCTV video footage, or health records. Well written, and detailed ethical assessment conducted. Statements are well backed by relevant academic theories. In an era of rapid technological growth, the article is a good reminder that personal privacy data of us may be stolen and we must pay attention to it and make proper efforts fighting against it. The article is very informative and the pros and cons are well explained. This is definitely significant that it has the potential problems of the privacy issues and it still requires a lot of work in order to make it fair to both company and customer. Especially since big data is such a big issue in today’s time and technological advances having no bounds. We need to solve it properly. You have mentioned that ”It is morally right when collecting and analyzing users’ personal data are needed, and it is all legal. ”. I agree that it is legal when the company are using the customer data to improve the customer experience, especially when all the customers have clicked “I Agree” to the agreement before using the services. But it is not legal anymore if the company abuse the data of privacy, and even make profits from it. Big data is big business and as value is created from customer insight, but we need to think about where is the moral line? Big Data is nowadays a crime based financial bubble that’s holden by the lack of legislation and social awareness. But regulated data anonymization would be an urgent solution to stop this development of full personal transparency, collectivism and social engineering. Nowadays, Information has become a commodity. Data generated by individuals go beyond their control and becomes a commodity traded among companies. These changes may constitute an invasion of privacy. Privacy is a moral right. Privacy information should not be used, collected and controlled by anyone but oneself. In fact, the interest dilemma faced by big data is essentially whether personality, identity, privacy and so on can be used to sell for money, that is, how to obtain ethical legitimacy for the propertization of personal information. Only through the improvement of the mechanism can let what was once a dilemma become a correct decision. Yes, big data is a behavior of infringing privacy. Yet it only publish a result of combination and calculation of the private data. The result may only be a number. You can say it is related to you but it cannot immediately reflect who you are or what you did. How do you balance big data with privacy? This is about the development of the big data industry, as well as the experience and feelings of consumers. We live in a world of information, but also live in the world of data. In just ten years ago, everyone began to use the Internet and information began to be digital, but not advanced and perfect. The data was just forwarding information, but now, we all wish every action in life through the Internet to get a super convenient experience. At the same time, we leave a trail of data in the process. Today’s technology can record every step, every piece of information, even speculated what you need to provide the appropriate message, which is often known as big data technology. There is no doubt that we, as consumers, want to enjoy better service, but the service needs to be exchanged with my behaviour data. In the business world, big data and privacy security are too close to each other. We need to both develop it and protect ourselves. I couldn’t agree with the opinion that the personal privacy data analyzed and used by high-tech companies is reasonable any more. In my perspective, it is quite moral to collect and analyze users’ personal data for some high-tech companies to give a better service of customers. What’s more, the collection of the data is good for the development of many related fields and the private information will not be easily disclosed because of the related laws. This is a very impressive look into the whole passage. The positive gives a lot of examples and the negative gives many reasons why they think the personal privacy data analyzed by the high-tech company is not reasonable. It’s quite enjoyable when I read it. An interesting topic, clearly an ethical dilemma. I felt that the ethical treatment of both sides of the arguments needed to be made clearer. information like personal career can be public so that people with special requirements could find you easily, it’s good for business. other information like your parents, offspring, should keep invisible for public, in case some people with bad intention use that to harm you or cover their crime.